The tears were welling up and it was all I could do to not cry in front of the entire class. I had failed my first math test. It wasn’t actually even a test, it was an assessment to get into the gifted program that I was already in. But we had to retest every six weeks. I hadn’t just failed the fractions test, I had bombed it. 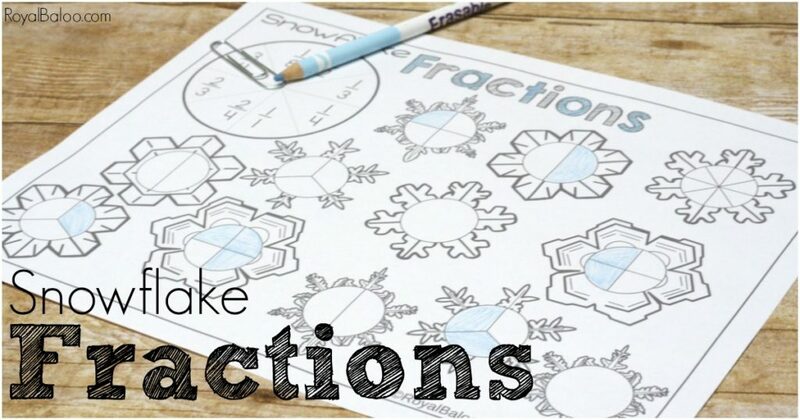 I had no clue what a fraction even was. That test broke me and my confidence, but not for long. I figured out fractions but the memory of that feeling remains. And it’s a staunch reminder to me that it doesn’t take much to shake someone’s confidence, especially with subjects such as math. And that’s why I love the spiral approach – a little at a time and come back to build on the knowledge. 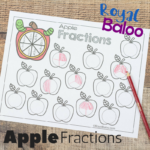 Royal started fractions just a few weeks ago (about when I did the Jack O Lantern fractions, actually). 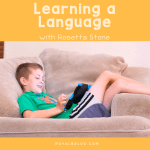 His introduction was so simple but it left him feeling confident and able. 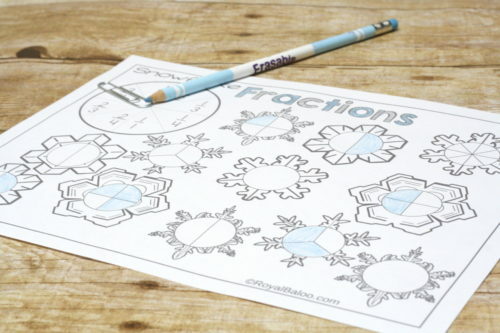 When we come back to fractions the next time, his memory of confidence will help him. 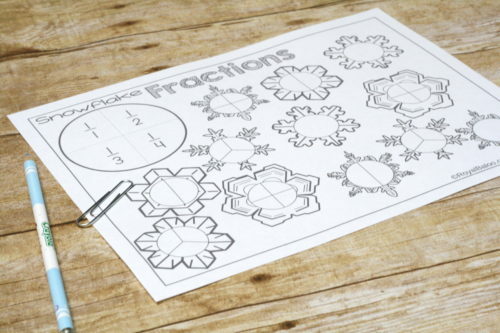 In the meantime, we can do fun snowflake spinner activities to keep that knowledge fresh. 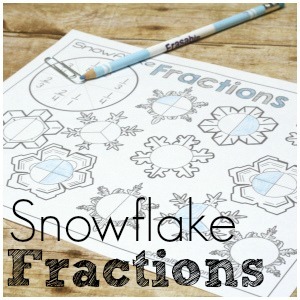 Only one more day of the 31 Days of Printables! But the printable bonanza doesn’t end here – oh no. We have a lot more up our sleeves. Sign up for the newsletter to hear even more. 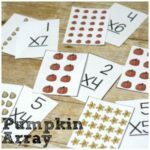 These are pretty much a no prep solution for fractions, so set up is pretty minimal. We always have a paper clip on hand just for activities with spinners, actually! There are three separate versions with this, each with a varying level of difficulty. The first is just open circles. So you have to split the circle into fractions and then color in the right number of sections. 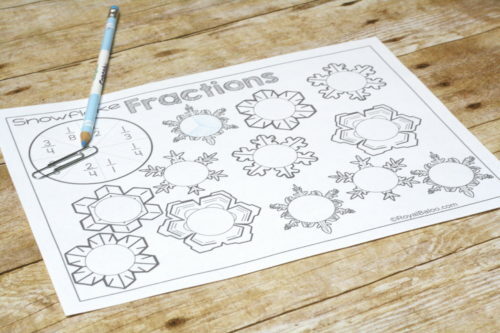 In the middle version, the circles are split into fractions so just roll and fill in! The simplest is just the basic fractions. 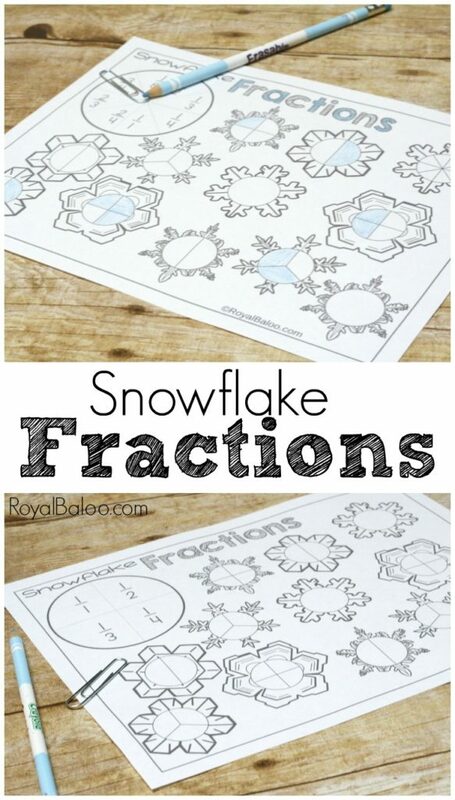 I would use a dot marker for these and just have them label the circle split into halves, thirds, or fourths. 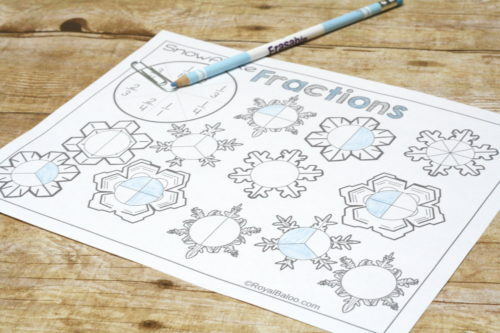 On this one we color in the right number of sections to match the fraction. 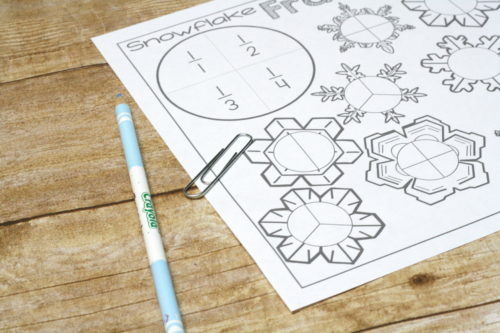 Just one day left of the 31 Days of Printables! But have no fear – the newsletter will continue! I will still be sending out a weekly newsletter full of themed printables and additional freebies exclusive to newsletter members!